Sculpture Size: 8 X 11 X 6 in. Mark's newest release says goodbye to summer days and welcomes a cozy image of cooler temperatures. This polar bear pauses 'midstream' to glance over his shoulder at admirers. 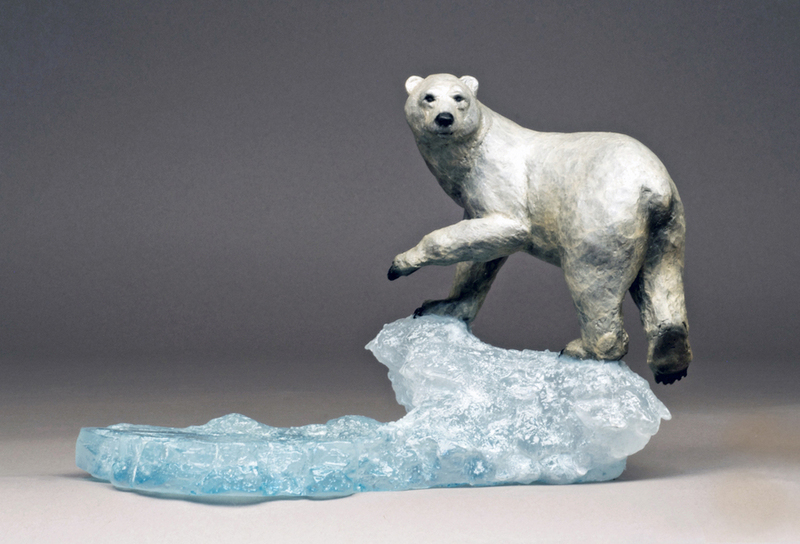 The attached base is made of cast glass with a blue tint.